Back for Year 6, after another great event last season.. This is one of the fastest growing tournament in the Southeast. Teams from 5 states attended in 2018 and we expect more in 2019. Played on 8 beautifully maintained full size fields with all the amenities you would expect, this will be a great experience for players, coaches, and parents alike. 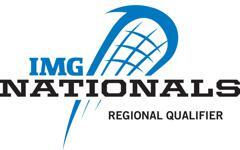 The event is an IMG National Championship qualifier for all divisions.